Congratulations on finding a company to sponsor you. So whats next... Well, the next step will be to assess which employer sponsored visa will be the best fit for you and your sponsor. This can depend on a wide range of factors including your skills and qualifications, your English level and of course the needs of your sponsor. Your 3 main options are the Temporary Work (457) visa, the Regional Sponsored Migration Scheme (RSMS) (187) visa or the Employer Nomination Scheme Visa (186). 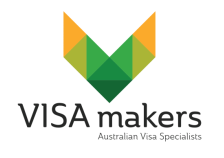 For more information on Employer Sponsored visas click on the relevant visa below.